As a worship leader, it is easy to get stuck in the belief that the only way to worship God is through song. I mean, how many of our churches wouldn’t dare to skip music on a Sunday morning? It’s almost like our song services have become the thing we worship, not God. 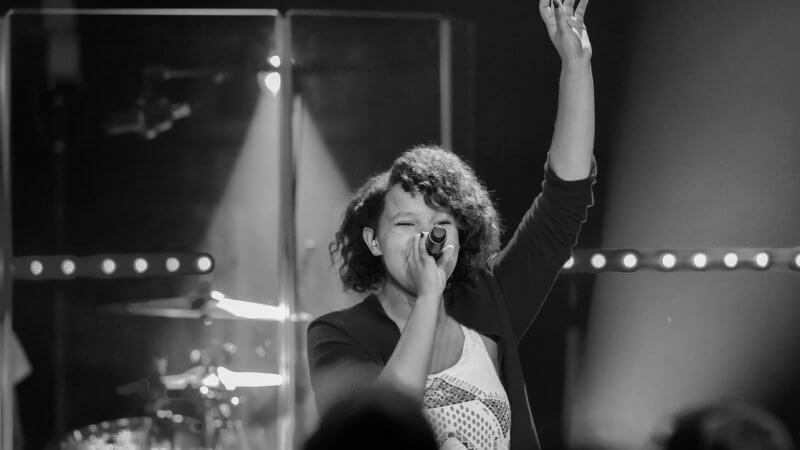 Is there more to being a worship leader than leading songs and developing a worship band? Please don’t misunderstand. Both leading songs and developing a worship band are important tasks of the worship leader. As a matter of fact, when you do these things well, it benefits the church more than you could ever imagine. But, what does the Word of God teach us about the most important purpose of every christian? In the past few months, my world has been turned upside down as I read the book Interrupted by Jen Hatmaker. It became clear that the things I deemed most important were not the things God deemed most important. I knew that serving and loving others was something the Lord has called us to do, but I would conveniently apply this only to those who were easy to love. All the nations will be gathered in his presence, and he will place the sheep at his right hand and the goats at his left. Then the King will say to those on his right, ‘Come, you who are blessed by my Father, inherit the Kingdom prepared for you from the creation of the world. For I was hungry, and you fed me. I was thirsty, and you gave me a drink. I was a stranger, and you invited me into your home. I was naked, and you gave me clothing. I was sick, and you cared for me. I was in prison, and you visited me. This takes the ‘love thy neighbor’ scripture and really spells it out for us. Loving those who are easy to love – anyone can do that. But loving the ‘least of these’…that is what separates a believer from a non-believer. It is how we most effectively witness and share the gospel with the world. Not through words, but by putting love in action by serving those whom the world has forgotten. There was a time when I thought music was the most important part of the church. That changed when I went to Bible school. Then, I thought that the preaching of the Word was the most important thing in church. How do I know if their need is for real? Better just play it safe and not meet the need. They are just being lazy and don’t deserve my help. Well, at the end of it all, God isn’t going to be asking if we did our best to sort out legitimate needs. He will be asking if we fed, clothed and visited ‘the least of these’. This is the most important purpose of a worship leader: loving and serving those around you, especially the ones that are hard to love. My goal as a worship leader is to make the weekly tasks of scheduling songs, developing a worship band and polishing technical aspects as efficient as possible. I share everything I learn along this journey here on Collaborate Worship so you can do the same thing, hopefully much quicker than it took me to figure it out. This is the key to making sure we can focus on loving and serving ‘the least of these’. I challenge you to simplify and improve your weekly tasks so you are no longer bogged down by rehearsals, tech and everything else that comes along with being a worship leader. And don’t forget to pick up the book Interrupted by Jen Hatmaker. It will change your life, for the better. Love that you shared this post. It is definitely important to remember that our motivation to serve others should not be based on a fear of going to hell, but as a response to our love for Jesus and others, and His love for us. Exactly! We don’t love to be loved by God, we love because we ARE loved by God! 1 John 4:19. It’s so easy though to make it about our performance, when it’s really all about His. Once we are secure in who we are in Christ, then the rest of it flows naturally out of that identity. I don’t work to be a son or stay one, I work because I AM a son! I’ve learned a lot from reading Paul Ellis’ blog and I had to share that one today because the timing was perfect! This article is refreshing and sobering. Thankful you wrote this with simplicity and frankness. Very good reading….. Thank you Kade. This hit me hard. It is hard to really love especially the ones closest to you in the ministry and left you and you thought you are in this together. But I have to stay focused to JESUS and His will for me. Thank you. God bless.